jonathan in the distance: triathlon as a team sport? not for Ironman. if the link doesn't work, i've put the full text of the article at the end of this post. this is an article from a Canadian newspaper, and goes into detail about how the Canadians used a team approach to the triathlon event at this past Beijing Olympics. essentially, Canadian favorite Simon Whitfield, who is a former Olympic champion and was a strong contender for gold in this year's Olympics, was accompanied by another Canadian competitor, Colin Jenkins, whose only role was to serve as a "domestique." those of you familiar with cycling know that a "domestique" is someone on a team who is not expected to win--nor will be allowed to--but is instead expected to help the team leader to succeed by (among other things) chasing down breakaways, opening riding lanes, and creating drafting lanes. the latter is perhaps the biggest duty, since it allows the team leader to stay relatively rested while still remaining in contention for the final push to the finish. at the speeds cyclists go, wind resistance can consume as much as 30-40% of a competitor's energy output, so any relief that can be gained from drafting offers a huge aid. similarly, in swimming, where water is such a high-density medium, drag resistance also consumes a major portion of energy output. which is why open-water swimmers frequently engage in drafting behind other swimmers to save themselves for the finish. thing is, i'm really not sold on this as part of the sport. there's drafting in all of the individual sports involved in triathlon, so it's entirely consistent that triathlon--which combines all 3--also allow team-work. open-water swimming allows it. cycling allows it. even distance running, which is often perceived as an individualist event, features constant drafting. particularly in events like the 10,000 meters or marathon, you often see runners staying in a main pack and exchanging roles at the front, with the aim of race favorites to save energy by drafting behind the leaders until the final sprint to the finish. it happened at this past Beijing Olympics, which even showed men's and women's marathon leaders involved in team-work, with the Chinese women helping each other and the Kenyan and Ethiopian runners working together. the article is right, there is a trend towards triathlon teams. professionally, you see teams becoming organized by sponsors, with examples like Team Timex or Team Tri-Dubai. collegiately, it's always been teams organized by individual schools. traditionally, the team approach was related to training and logistical support, but the trend is to now carry it into race day. the rules allow it. at least in ITU (International Triathlon Union). and so long as the rules are set up to allow it, athletes will interpret them in any way possible to maximize their chances of winning. but despite all these arguments, i still am a purist. to me, triathlon has always been more than just a competitive sporting event. following its origins in Hawaii and San Diego, i have always held to the principles that existed at the sport's inception: self-improvement, self-exploration, self-enlightenment, self-empowerment. all of these things point to an individualist spirit, with a competitor undergoing training and race day engaged in a journey going as much within themselves as it is going without in the world. this may be my preference for Ironman talking. Ironman rules are different. drafting is not allowed, thereby effectively negating the major reason for race day team-work and confining team approaches to training and logistics. the World Triathlon Corporation, which runs Ironman internationally, holds to the fundamental vision that spurred then-Navy Commander John Collins to hold Ironman in 1978: an individual trial of endurance, with you facing only the elements and the clock, with the goal of you overcoming your own hurdles. the philosophy is entirely individualistic. yeah, i know, all this meta-physical touchy-feely introspective spiritual mumbo-jumbo is just ethereal contemplation in a world full of realities and driven by profit-based motives. and given that choice, the sporting world is going to choose the latter, since the sport is a business based on audience revenue and thereby in need of spectator-friendly drama. and one of the most spectator-friendly dramas is the constant battle of competitors in a pack, playing out their tactics over the course of a race, setting themselves up for a final climactic showdown at the finish line. it plays to the human cultural traditions of theater maintained since the dawn of human civilization, and works with our natural desires for what we want in a spectacle: the increasingly intense conflict of point-counterpoint leading to a peak that produces a determinative conclusion. compared to this, the introspection of an individualist trial-by-fire is utterly boring, and offers nothing for spectators--and the business based on them--to watch. still, i hold to this: on some level, it's not about a business. in some ways, it never was. Ironman didn't start out as a business. it was meant to be about the athlete facing themselves, alone, stripped of all lies and pretensions and distractions and sycophants and seductions and illusions, so that there is nothing left but truth. and through that truth, the athlete is able to gain a greater understanding--of themselves, the world, the universe, god(s), eternity, and the state of creation and the meaning of it all. and through such understanding, the athlete can become something better than they were before--as a competitor and as a human being. triathlon, at least for Ironman, was meant to be a transformative experience. meaning it is meta-physical, it is introspective, it is spiritual. even if touchy-feely mumbo-jumbo. it still is. which i guess is why Ironman races are so unique. because even though they now have a professional circuit, and even though they have prize money, and even though they have sponsors, they are unlike any other triathlon, and unlike any other sporting event, anyone will ever get to see. in Ironman, professionals regularly stay to watch the amateurs finish, professionals regularly mingle with amateurs before and during and after competition, professionals regularly follow the individual stories of amateurs played out on every race day. you see, it's because they know. they know Ironman is a transformative event. they know what Ironman was and is and will always be about. and they respect it, and they've decided that this is what they still want. is it wrong to be a business? no. it's a necessity. is it disrespectful to the origins of the sport? no. things change. it's a choice, as much as anything in life is a choice. but is it what people want? is it what people need? in a world of the profane, the unholy, the obscene, the filth and misery and cruelty and suffering and despair and desperation and darkness? in world that needs to be shown, to be given, to be made into something better? to me, that's the real question. and given the choice between ITU team-work and Ironman individualism, i know where i'm going to find the answer. With a silver-medal win in the men's triathlon yesterday, Canadians have set in motion the evolution of the sport from an individual event into a team one. Borrowing tactics from the Tour de France, Triathlon Canada and silver medallist Simon Whitfield have effectively reinvented the sport -- with winning results. Mr. Whitfield, 33, used a 25-year-old Canadian non-contender as a "domestique" who saved him energy during the cycling stretch of the race. Triathlon purists -- those who believe the sport has always been lone wolf in nature -- have criticized the controversial move. But Triathlon Canada officials say the sport has been shifting toward a team direction and Canada just capitalized on it first. "Our goal is medals, not just to show up and be good Canadians. It's a change in the paradigm. It's a culture shift. ... Why not be the first ones to get out and do it and make everyone react to us?" said Alan Trivett, Triathlon Canada's executive director. "We played within the rules." The triathlon involves a 1.5-kilometre swim, 40-kilometre bike ride and 10-kilometre run, and generally takes athletes less than two hours to complete. Mr. Whitfield, a Kingston native who now lives in Victoria, last won a gold eight years ago in Sydney, then fell to an 11th place finish in Athens. Upon Mr. Whitfield's request in June, officials at Triathlon Canada drafted Colin Jenkins from Hamilton to serve as his training partner. They picked Mr. Jenkins-- who did not qualify for the Olympics -- over higher-ranking athletes because he is a strong swimmer and cyclist, a perfect "domestique" for Mr. Whitfield. Yesterday, the team tactics panned out for Canada. During the race's 40-kilometre cycling leg, Mr. Jenkins battled it out at the front of the pack, chasing breakaways and allowing Mr. Whitfield to ride in his draft and save energy for his run. After the bike leg, Mr. Jenkins placed fourth, while Mr. Whitfield sat in 12th, relatively rested up for his run. During the run, Mr. Whitfield dropped back in the final kilometre before sprinting past the sport's current top three -- Bevan Docherty of New Zealand, Javier Gomez of Spain and Germany's Jan Frodeno. He was ultimately overtaken by the German in the last 30 metres. After the race, Mr. Whitfield split his $15,000 silver medal bonus with Mr. Jenkins and vehemently defended his push for a domestique. "I believe it's the evolution of our sport, and you're going to see more and more countries do it. And it worked spectacularly today. [Mr. Jenkins] was spectacular today. "The communication was spectacular," said Mr. Whitfield, who intends to compete in the 2012 Games in London. "It took courage to say that we wanted to do this, and we took criticism.... I got called arrogant, and I got called cocky ... and I said, 'Wait a minute. I thought you wanted to win,' " Mr. Whitfield said. Mr. Jenkins finished in 50th place -- dead last among those who finished the race-- but treated Mr. Whitfield's victory as his own. "I didn't really care about the rest of my race. I actually stopped and yelled at Simon as he ran by, it was so exciting," said Mr. Jenkins, who had not run in six weeks after being hit by a car. That was not a problem: Mr. Jenkins admitted he had not trained to win a medal. He also denied that Mr. Whitfield was doing it for himself. "It's evolving into a team sport.... A medal for the country -- come on, what more can you ask for, seriously?" Although they admit it may be the only way to the podium, triathlon purists are criticizing the team tactics. 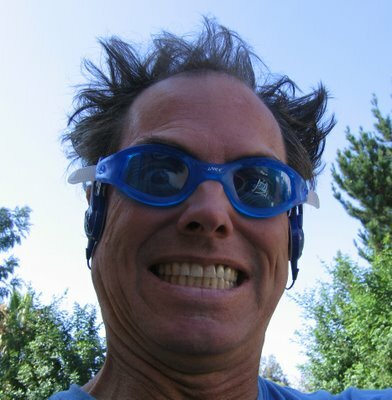 "I think there's going to be a lot of dissension with all this," said Kevin Mackinnon, who competed nationally from 1985 to 1993 and now edits Triathlon Magazine Canada. Two decades ago, he opposed drafting, saying it would turn triathlon racing into a team sport. "If the goal is to get a gold medal and that's where Olympics have gone, yeah, this is a great move. I got into the sport for the individual thing but as soon as you allow drafting, that changes the playing field completely." He said that now, recruiting domestiques such as Mr. Jenkins could sour the sport for traditional triathletes who want to compete, not help the top dog. He pointed to Paul Tichelaar, a 27-year-old from Edmonton who qualified for the Olympics and finished in 28th place yesterday. Ranked sixth in the world, Mr. Tichelaar declined to participate in the new team mentality. "I think Paul has always made it abundantly clear he's not crazy about this whole thing and I can see where he's coming from. Simon just outsprinted him at the world [championships] in June, so he feels like he can compete with Simon. Now all of a sudden you're saying, 'Hey, you know the guy that you were neck and neck with 100 metres before the finish line at worlds? Now we don't want you to race him anymore, now we want you to help him.'" Mr. Trivett said Mr. Tichelaar was released from any obligation to race as a team. "He could race however he chose yesterday," Mr. Trivett said. "We wanted him to be a part of the team and his heart really wasn't in it. It didn't appear that he was really buying into the process, because while I don't believe it's controversial, it's not a guarantee." Mr. Mackinnon also said more higher-ranking athletes -- such as Brent McMahon -- might be excluded with a Triathlon Canada system that favours domestiques. The 27-year-old from Kelowna, B. C., was not invited by Triathlon Canada largely because he runs better than he swims, Mr. Mackinnon said. "What we're now going to start seeing more and more in the sport is people who are swim-bike specialists whose sole job is to get a fast runner to the finish line, or to the start of the run in the best possible shape. It's absolutely no different than the Tour de France, the domestiques hauling their team leaders and making sure everything's taken care of until the big sprint." Very thought-provoking. With the Olympic events almost completely absent from US television, I have yet to see the races on the web. I had no idea this had gone on. I absolutely agree with you for all the reasons you give. Never done an Ironman but hope to some day. And when I do I want to have done it myself, not because I good at drafting on the bike and used someone else to "pull" me there. 100% agree. I think the difference now is that this sport now provides enough prize money that professionals are truly professionals, in the sense that they make a living by racing (rather than being too engrossed in their sport to have a day job). Stakes are higher. It makes me long for the days when everyone was doing it because they loved it, and that was all.